Schedule 7 allows police to hold someone at a UK port for up to nine hours for questioning about whether they have been involved with acts of terrorism. Anyone detained must “give the examining officer any information in his possession which the officer requests” or face arrest. Police need to have no reasonable suspicion to stop, interrogate or detain anybody. IHRC believes the wide-reaching powers are poorly defined and give the authorities a green light to hound and harass innocent individuals. 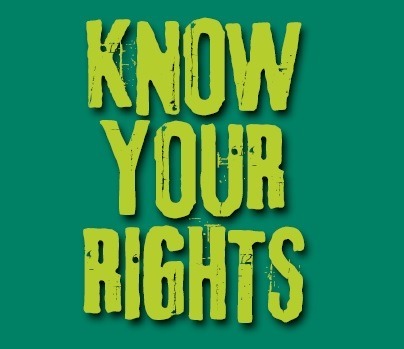 Over the nine years in which IHRC has monitored Schedule 7 it has received dozens of complaints of abuse including officers asking Muslims they have stopped if they pray or if they would be willing to spy on their communities or even which party they voted for. Schedule 7 has also been used as a pretext to implement ethnic and religious profiling. The figures show that proportionately many more people from ethnic minorities are stopped than whites. In 2012-13 ethnic minorities accounted for 79% of all those who were stopped. In our view, the amendments being proposed do not go far enough to check these types of abuses. We also believe that existing legislation gives law enforcement agencies enough powers to deal with the threat of terrorism. It is for this reason that we recommend Schedule 7 be repealed altogether. IHRC has written to MPs asking them to strike off the legislation or at the very least insert a clause requiring police to have reasonable suspicion that someone is engaged in terrorist activity before stopping them. “The irony is that Schedule 7 has done more to alienate people than address the issue of national security,” said IHRC chair Massoud Shadjareh, a member of the government’s Schedule 7 National Accountability Board who has himself been stopped several times under the powers.